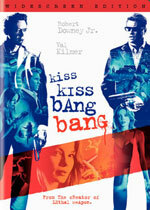 adapted as "Kiss Kiss, Bang Bang"
Additional notes: Brett Halliday is a pseudonym of Davis Dresser, who wrote the series through 1958, after which a variety of house writers wrote under this name. 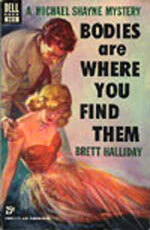 The book cover depicted is from the 1953 Dell paperback edition. The information link is to a later edition.